We are building and I found this and the sink for our new kitchen . I’m very happy with it. It was just what was written about it on the description of it. 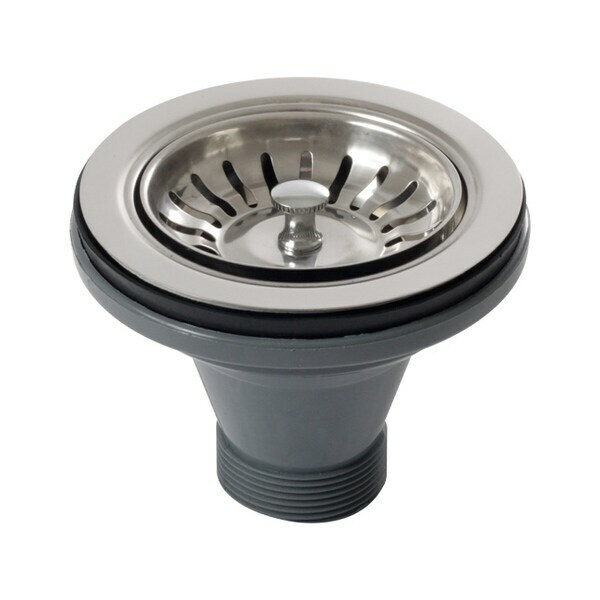 Keep unwanted items out of your kitchen or bathroom drain with this contemporary pullout strainer. Made with durable stainless steel, this deluxe strainer features an easy-to-remove basket for simple clean up. Good overall quality for this sink drain and it comes with everything you need to seal the drain area. Going in our new stainless sink. Nice quality sink drain strainer. We ordered this to go with our under mount sink and it matches perfectly. The strainer is easy to pull out and empty. So far we have had no issues. I wanted to like this strainer but really could not when it turned out that the strainer part screws into the base and when you want to remove just the strainer you cannot without loosening up the base too because the same screw mechanism holds the base into the sink drain. Not a good design. Finally . . . a new strainer that works! It's taken us a long while to find a good replacement strainer for 9-year old sink, but we finally found this one and are quite pleased with it. Solid seal and looks nice. Came just as advertised. Easy to install. Would have worked perfeftly if my Koehler sink drain area wasn't so deep. "Hi I'm buying the sink and this strainer is the one recommended ? can this also be used as a plug? i'd like to be able to use the sink as an ice bucket for entertaining does this do that?" Hello gary j., yes, this will work as both a strainer and a plug. Thank you for shopping with us! "Does the strainer basket have a central pole down the center?" Hello Owlman, this does not have a central pole down the center. Thanks for shopping with us! A.S.